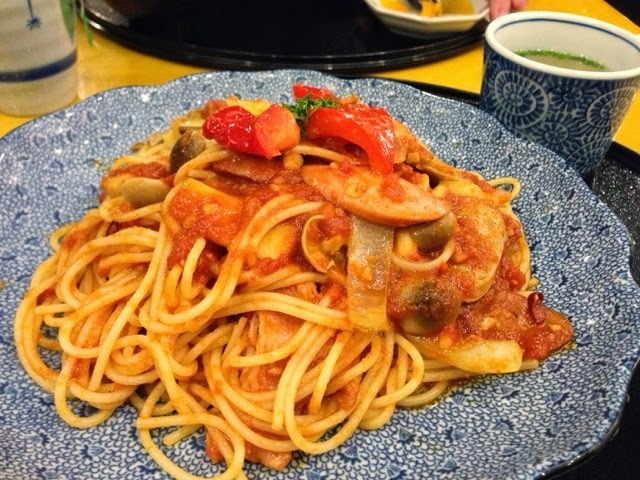 Yomenya Goemon is a Japanese restaurant that serves pasta, pizza and side dishes. I dined many times at Marina Bay Link Mall. Today, I had a strong craving for the pasta and decided to have dinner there. Without noticing the change of ownership, I entered the restaurant and was ushered to a table. Looking at the menu, I noticed that the menu had changed but ignored the signal. Finally, I realised the change of ownership when I closed the menu after I made my order. I could not imagined how blur I was for not realising that I am not dining at Yomenya Goemon. 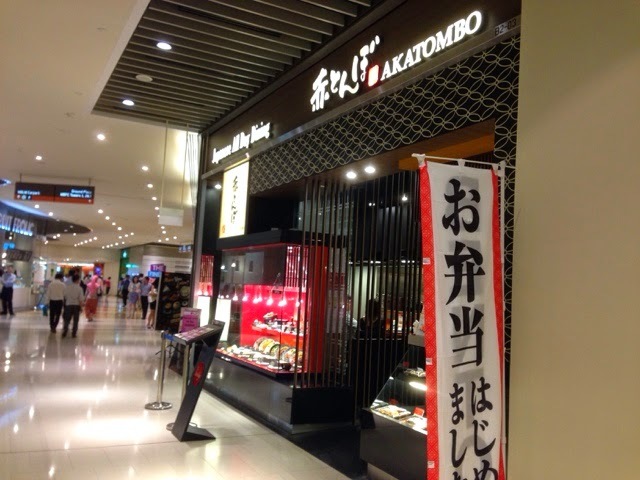 Yomenya Goemon had moved out of Marina Bay Link Mall. Located at the basement of Marina Bay Financial Centre, Akatombo had apparently took over the restaurant and retained the existing fittings. For blur customers like me, I would just walked into the restaurant without noticing any difference. The dining experience was S$15.00 per one person. Personally, I feel that this restaurant is forgettable. I was told It was still under the same for group, but with a new makeover. Maybe new chef?